Mobile technology and applications are now extensively being deployed in Singapore for the aim to create an effective marketing strategy. Influencer marketing Instagram specifically is currently one of the top leading social media platforms that brands are using to reach a mass number of people in Singapore. Firstly, VivoCity engaged an influencer marketing campaign, with the goal to encourage shoppers to head down to the mall and try out the wide variety of food the F&B outlets have to offer. 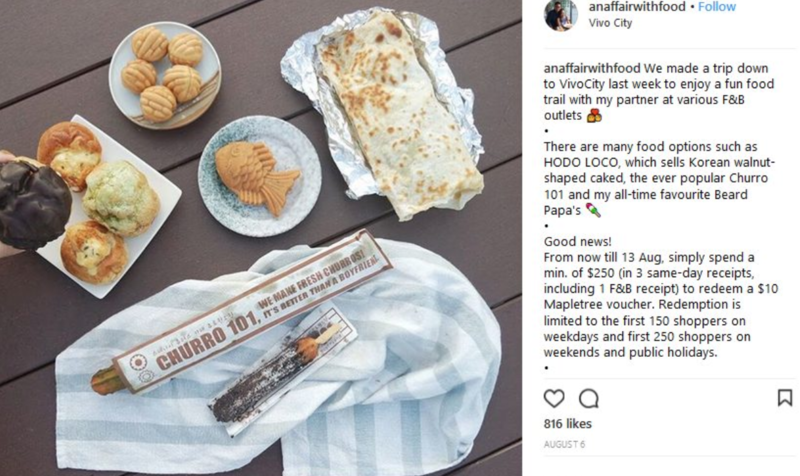 For this campaign, food influencers and lifestyle influencers who have a strong audience interested in the latest food deals in Singapore were chosen. Apart from taking numerous food photography pictures of the latest eats at Vivocity, influencers also included deals and promotions for their followers. The variety of pictures appealed to the large number of local food enthusiasts. This eventually assisted in garnering over 14000 engagements (likes and comments) for the whole campaign.. This is another very successful campaign with the help of digital marketing in Singapore. In December 2018, Furama set up the EatPlayLove event as part of its annual Christmas festivities. Fumara then tapped onto the power of social media and its influencers to promote this event. Its main objective was to generate awareness and to promote the hotel to the people of Singapore and across the world. The local influencers used for this campaign were mostly from the lifestyle, food and activities category. They also used hotel hashtags such as #funfurama #lovefurama #engagefurama#explorefurama to ensure their photos reached a larger number of people. 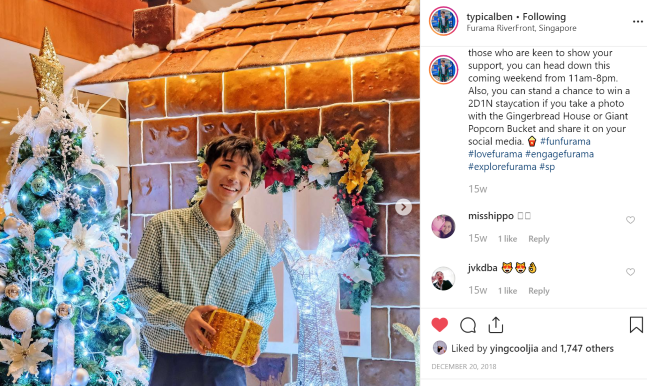 Furuma provided influencers with special discounts, offers, promo codes, to encourage and arouse audience interest to visit the Hotel and its Christmas market. 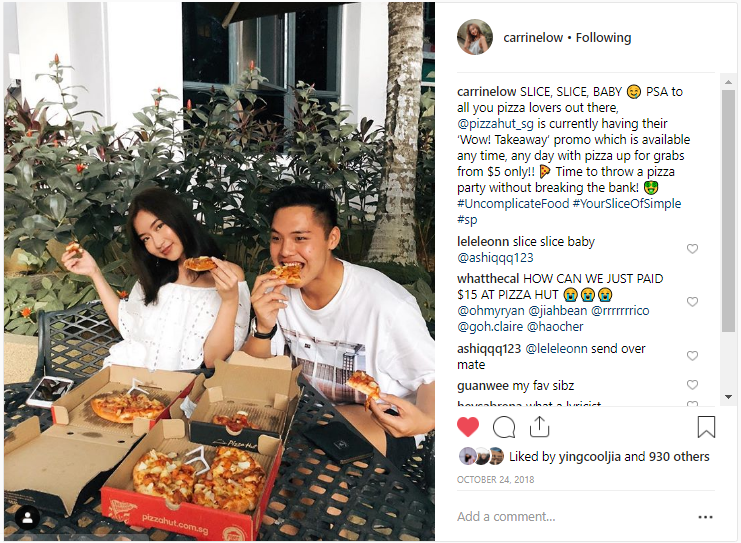 Despite being a household brand in Singapore, Pizza Hut themselves has teamed up with influencers as part of their marketing strategy. Pizza Hut wanted to promote their Pan and knotty cheezy Pizza. Influencers were invited to try these items on Pizza Hut and then to share their opinions on Instagram. Many Singaporean influencers roped in their friends and families to be included in the images, which were well received. Majority of all the above and many more companies would not be as successful and productive were it not for the really good influencers in Singapore. Therefore, moving on, we will introduce some of the famous and well-known influencers in Singapore. Yoyo is among the famous fashion stars and influencers in Singapore. She has managed to build a very good reputation concerning fashion matters. 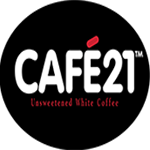 She has also attracted a number of brands across the continent. This is perhaps due to her bold sense of choice and confidence to experiment on new styles. Brad Lau is among the few influencers that rose to fame through leveraging on SEO. This made his blogs which are mainly about food familiar and well known by many. He is also apt for an ‘influencer marketing Instagram’ campaign with the large number of foodies following him. Known from her blogging days, Bong Qiu Qiu has also garnered influence on various platforms. They include Instagram where she has over 200K influencer in Singapore. This has made her known in the “influencer marketing Instagram” sphere. Her content ranges from fashion, food and also her adorable young ones. Due to a variety of reasons such as the easy and wide access to people through mobile technology, the Singapore market for influencers differs from other marketing platforms in Singapore. Take the example of influencer marketing Instagram. The interactive features on the platform, allows a more personal relationship with the buyers to be created. Singapore market for influencer marketing also remains to be among the best ways for brands to stand out from the constantly growing market across the world. Research according to Gartner claims about 74% of customers rely on social networks for a variety of purchase assistance. It is, therefore, a very key area any retailer or business should focus on to maximize sales in Singapore. The ASAS issued new guidelines that set advertising and marketing communication standards in Singapore appearing on interactive and social media. The guidelines state that disclosures and disclaimers of commercials are required to be clear enough and appropriate to understand. Also, they do not permit any reviews that seem disguised as being from impartial sources. The ministry of communications Singapore worked in conjunction with the National Library Board and cyber security and came up with these guidelines. The guidelines stresses the importance of educating primary and secondary schools regarding how to be ethical when consuming any online content. It requires them to be able to identify and distinguish authentic and fake news from the media. States that “an influencer guide to making clear that ads are ads”. All customers are made aware of any sponsored content before they are engaged with it and the influencer and brand take all responsibilities.